Since 2002, as China's first non-profit, non-governmental art museum in China, Today Art Museum has been cultivating talented young artists and promoting the contemporary art development in the long term. Founded in 2007, Martell Art Fund upholds the spirit of Martell, the famous French cognac brand, which has long been supporting the art world. After works submission, expert recommendation, and committee review, a process which has lasted nearly six months, ten outstanding young artists have been chosen from more than 400 candidates. 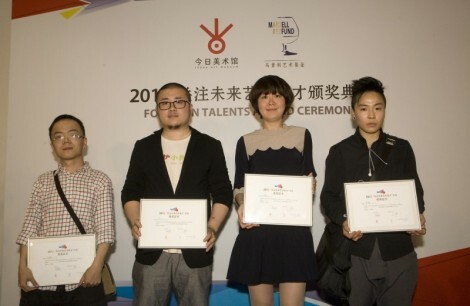 The artists are: Chen Fei, Chen Zhou, Hu Yun, Han Bing, Li Wei, Liu Guoqiang, Pan Honggang & Hu Youchen, Wang Haiyang, Yan Xing, and Zhao Jingyan. The shortlisted artists' works encompass paintings, videos, installations, and other forms, displaying the wealth of imagination and experimental spirit of contemporary young artists. At the same time, Today Art Museum continues to invite cultural scholars and art education experts to participate in this programme and discuss the future of China's contemporary art development with higher education institutions and art institutes.